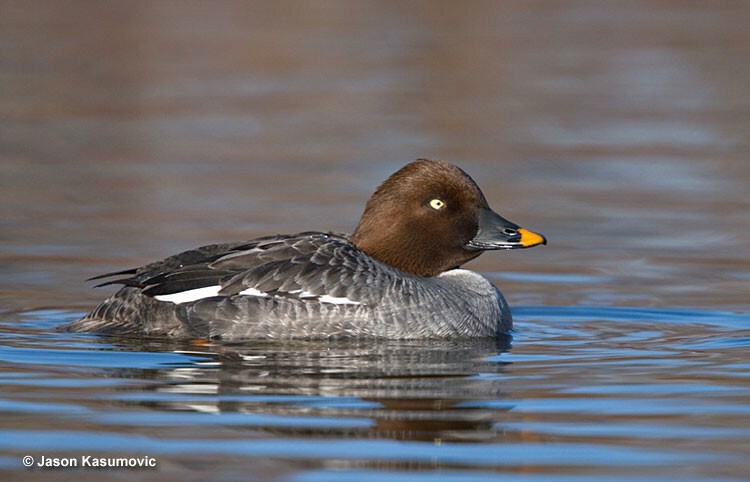 A nesting duck of the northern boreal forest, the Common Goldeneye winters broadly across the U.S. Clear lakes are preferred, as are lake with few or no fish, so there is less competition for the Common Goldeneye’s invertebrate prey. 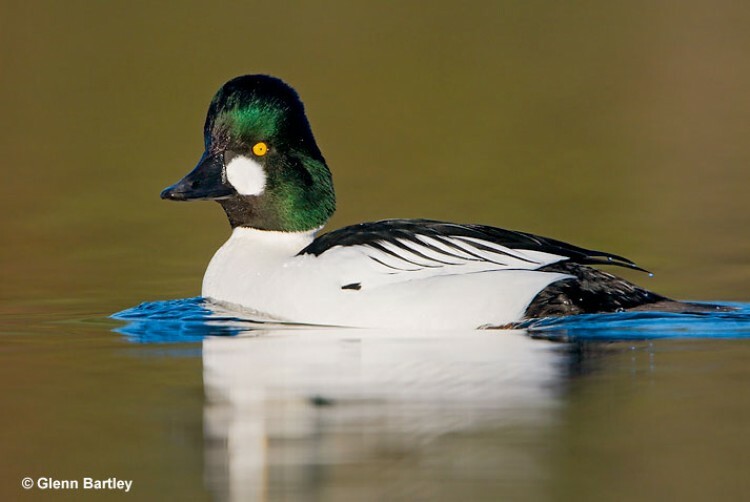 Common Goldeneyes are sometimes known as whistlers because their wings make a loud whistling sound when flapping. This sound seems to be more pronounced when temperatures are low. Common Goldeneyes are seldom found in flocks with other ducks.